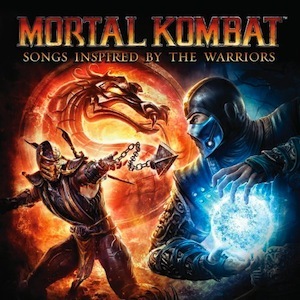 The new Mortal Kombat inspired album, Mortal Kombat: Songs Inspired By The Warriors, is now available for purchase as of today online and at many retail music stores near you. 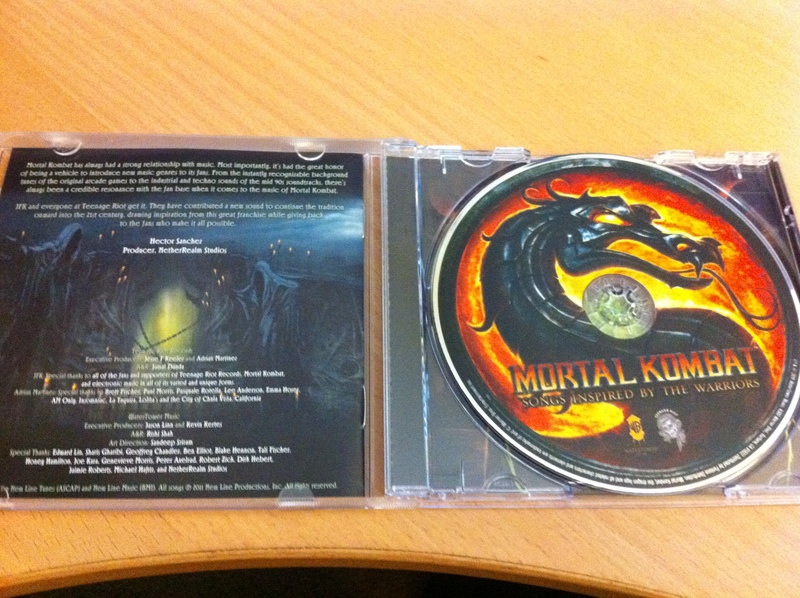 We got our copy of the CD yesterday, so here are a few shots of the CD itself. If you haven't gotten your copy already, below is a run down of the various places to purchase it. 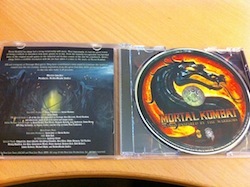 To stay up to date on news like this about the upcoming Mortal Kombat (2011) be sure to follow @TRMK on Twitter and like our Facebook Page. 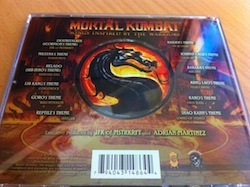 Update 4/6/11: Thanks to our friend Fraysol who pointed out in his video review that the Best Buy has an exclusive version of the CD comes with Kitana's Theme - Laidback Luke in place of Kano's Theme. There isn't one. The track list I found about a month ago said she would have one but my disc doesn't have themes for any female character other than Mileena. I'm sorely disappointed with that. But! Reptile's Theme is about to send me into cardiac arrest. Oh, Skrillex. I'd marry that fella. I purchased the album from iTunes the minute clock hit midnight today. I lol'ed! I borrowed mine from a friend. Glad I borrowed it first. I don't mean to offend ANYONE at all, but this is some pretty lame stuff. lol Raiden's theme is so bad the beats are off in it. 2 out of 5 stars. haha yeah I knew the songs wouldnt be worth the money so let's say I got it for free..
Got my copy. Theres a few good songs on it if u like techno. Ill be bumpin it in my car for about a week or so. 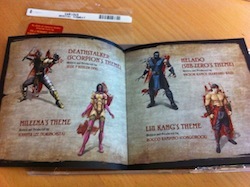 I like the Mileena, Goro, & Reptile themes. Its not for everyone, but im a sucker for anything MK related. So what is this anyway? 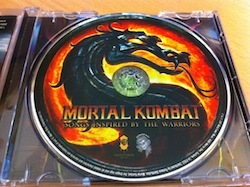 Just generic bad techno wrapped in MK so WB can make a buck? ...or is it good? There's is no "milking the fans"... there's no "make a quick buck"... Warner Bros is bringing back what Midway used to do thing for its games... by releasing items like the cd, t-shirts, and the announcment of the upcoming online series all are to help promote the game and new series with the company. As for the "special" people who don't want to pay and illegally download this cd.. think about the f'n econonmy just becuase you want to save 10 to 14 bucks.I know people were hoping for better theme's for characters they like or have a different taste in music but that still doesnt give anyone the right to freely obtain a copy of this cd that I feel should be a buy if your a fan of the series or the genre type of music. If you don't like the theme then make your own cd or just voice your opinion but don't download for free something that people took the time to put together. Would you like it if someone came to your work asking for free food, drinks and merchandise? I don't think so... your company loses money that way and eventually if it continues affects the business in whole.. Also Don't be so quick to judge Warner Bros and NetherRealm for what there doing... and if you don't like what I have to say... you can find yourself the way out.. becuase your internet company actually "sniffs" and knows what you download.. just food for thought.. Updated the post with the info on the Best Buy having the Kitana Theme that we got from Fraysol's video review. 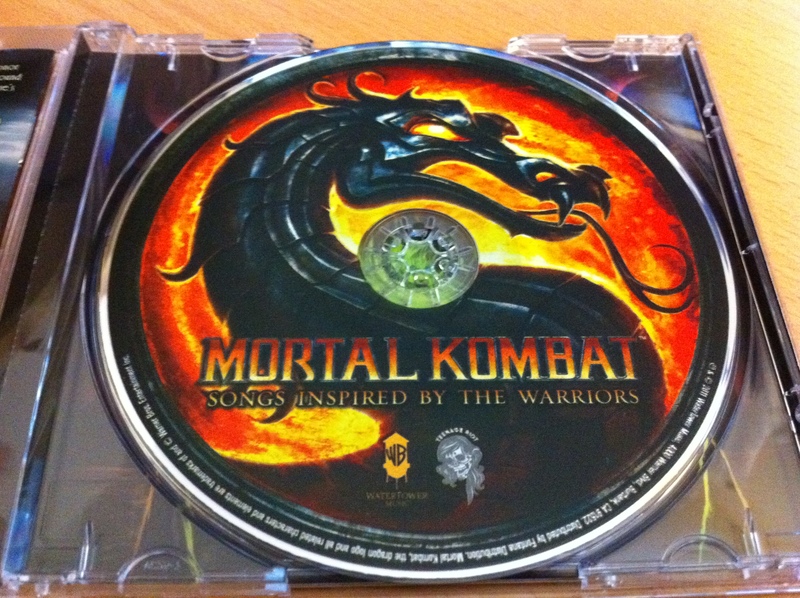 If you're a Gamestop Power-Up rewards member and if you pre-ordered MK they are sending emails with a 3 song sampler Screen cap of what it looks like. Sorry if it has been posted in another thread already. Once someone takes The Pit's code above and thanks him for it, I'll post my extra code I just got. Looks like someone downloaded the songs, but didn't thank you. [Unless they thanked you with rep, or something.] I'll thank you for them. It is official. Goro's theme has surpassed Reptile's as my favorite track on the CD. I just imagine Goro getting the CD, putting it in his boombox, bobbing his head as it starts. Then looking over to Johnny Cage's shades that he's kept as a trophy all these years, as he puts them on the shot goes into the black of the lens. When it pans back out Goro is in full street gear with a backwards hat busting sweet moves to his theme. Like with every CD, the album has some great songs and some lesser songs. After listening to the complete album for the first time, I liked Reptile's and Goro's. They are just awesome. I have been listening to this heaps to my surprise (because initially I only liked a few songs). Maybe its because of anticipation for the game but most of the songs have grown on me and probably the ONLY song I now have a problem with is Raidens theme. Thank **** its the shortest one. Like it or hate it...that is brilliant marketing. I didn't even think about it. All the music blogs that would put the songs up because of their dubstep technoish feel. http://hypem.com/#!/item/1ae5r/Skrillex+-+Reptile+s+Theme 3000 people over there like it. (the really big songs get like 17k likes).